Functionality meets variety of designs: Advanced technology for the hotel business. Advanced JUNG technology for hospitals, cylinics and nursing homes. Design your JUNG products with the intuitive user interface to suit individual requirements. 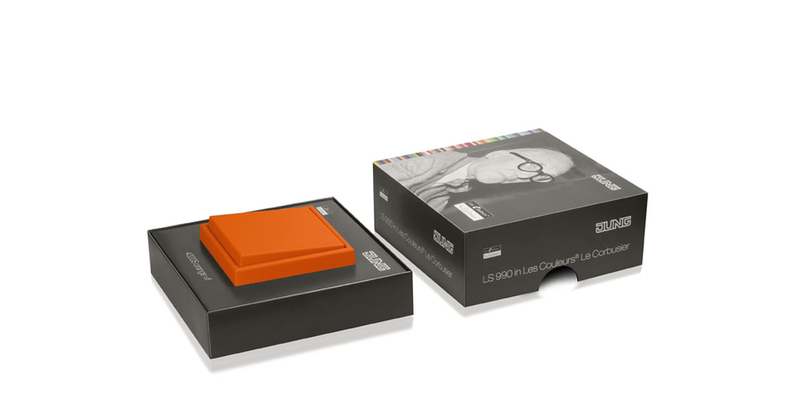 The LS 990 switch in Les Couleurs® Le Corbusier is now available for presentation. The high-quality designed box contains a switch insert with respective cover in a 1-gang frame. The presentation box Les Couleurs® Le Corbusier can be ordered in 31 different switch colour options. For more information about the order process, please contact the JUNG service at international@jung.de.